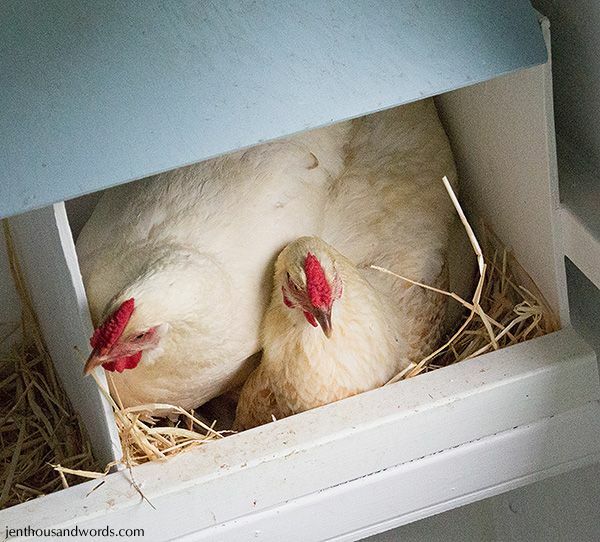 We have two to three hens that are currently laying, and we have three nesting boxes. 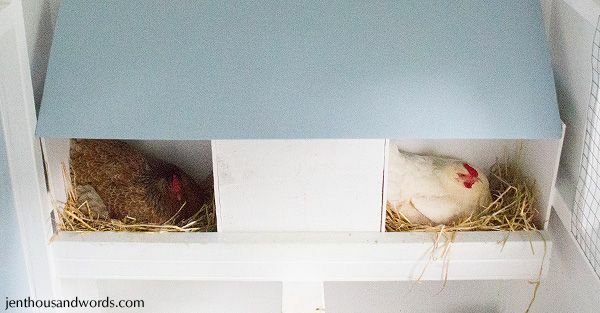 You'd expect this to be the situation - one hen per nesting box (the middle one was blocked here as they like to lean up against something when they sleep). 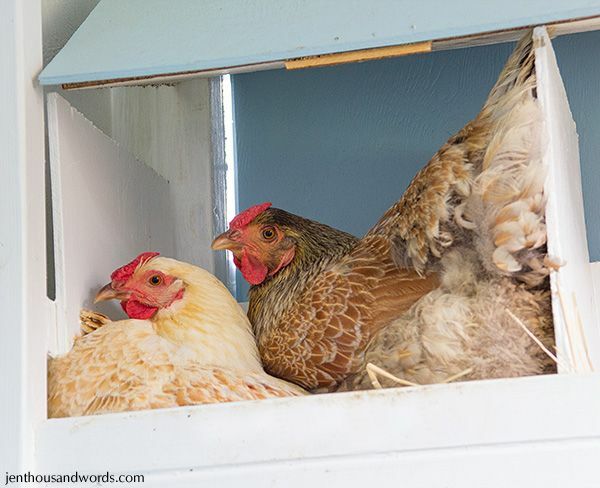 Chickens are like children. 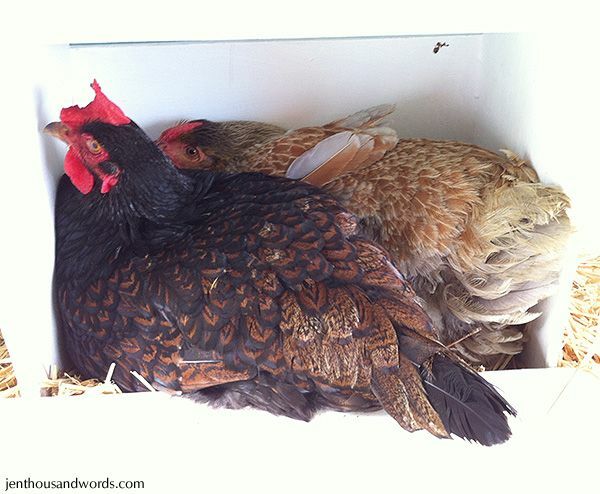 Whichever piece of food / nesting box one of them has, that's the one they all want. It was the same in the old coop. 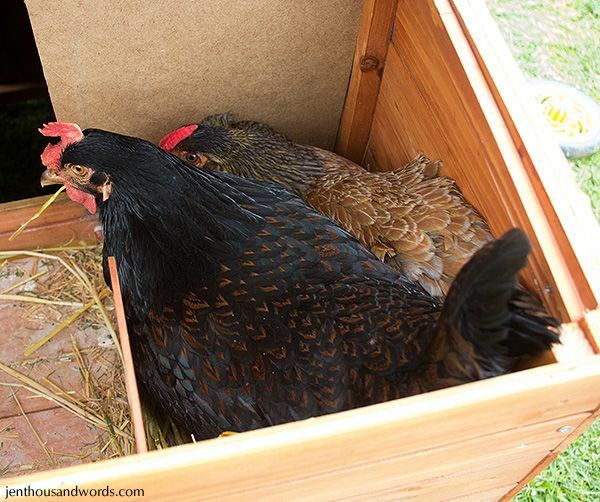 Here are Marble's babies giving her some moral support when she laid her first egg after becoming a mother. It makes me laugh - just like human moms who can't go to the loo without toddlers climbing on them, or at the very least coming into the bathroom! 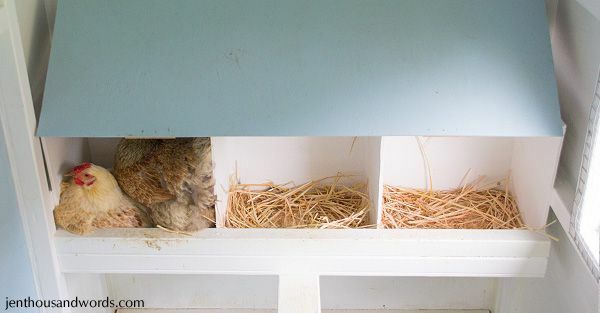 I think it's so funny and cute that rather than take one of the two empty boxes they'll pile in together with the hen that's already laying. They don't seem to mind. 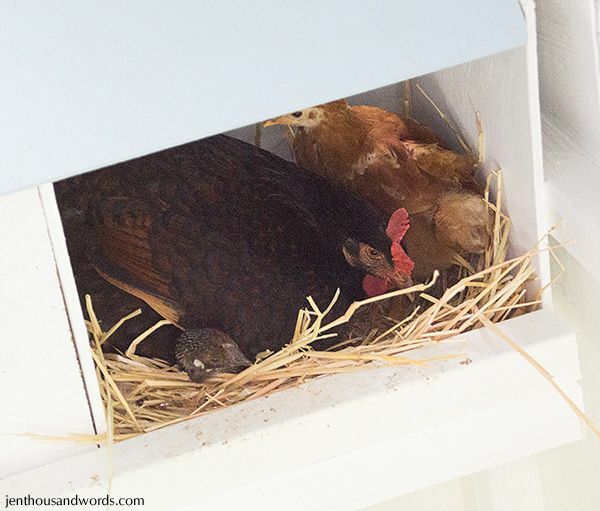 Tulip in particular loves having someone sit on her and frequently tries to climb under the other chickens at bedtime. *happy sigh* I love my girls so much!